In my creative process of thinking of new recipes, once I hit an idea, my brain often won't stop considering all the variations that can come out of it. This was the case when I decide to try to make Turkish pides— which are pizza-like stuffed flatbreads. 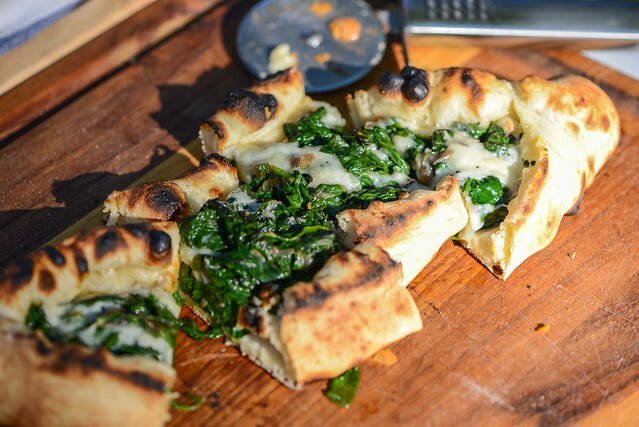 My original inspiration was a minced lamb pide, but instantly I wanted to also do a potato version, and a spinach and cheese version. My tendency towards excess led me to make all three, and I'm finally getting around to sharing that last one of the series. As much as I love my KettlePizza, it does take about an hour to get it fully fired up and ready to cook with, then extra time to dissemble and put away. That added time and maintenance translates to me not using it nearly as much as I'd like to. When I do get it going, I try to make the best use of that blazing hot fire as possible. So when I decided to try my hand in making pides—Turkish stuffed flatbreads—I went for broke and did three distinct recipes. 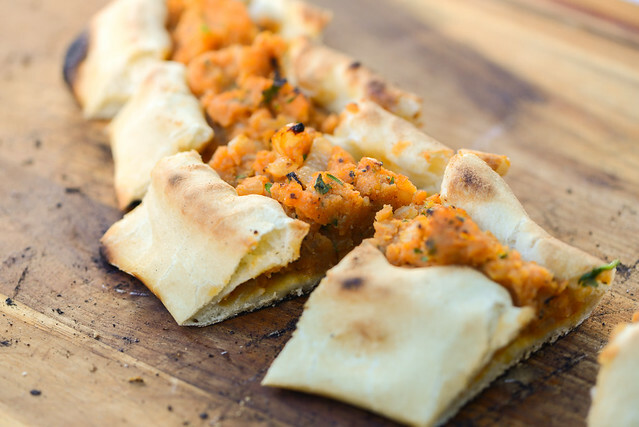 The original inspiration was a minced lamb pide that turned out incredible, but my second variation, a spiced potato or patatesli pide, turned out equally great. 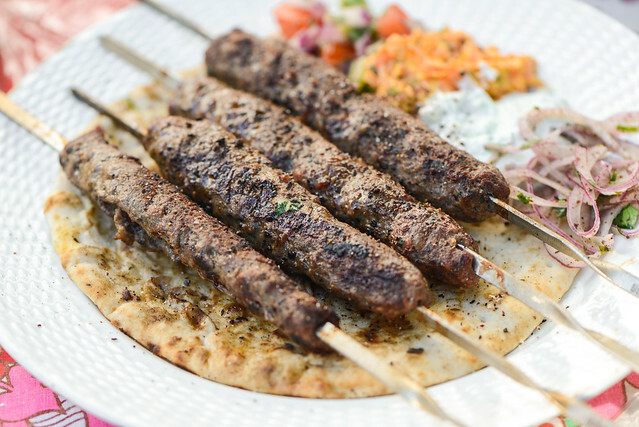 Turkish grilled meats = kebabs to me. 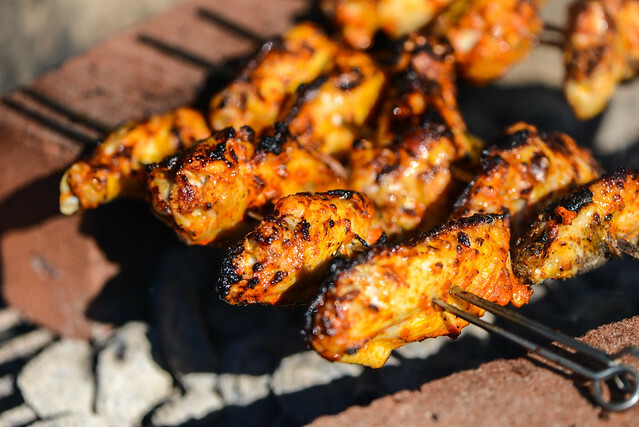 So it would make sense that when going through a bit of Turkish kick at a Meatwave last fall, I relied heavily on skewers for my grilled meat creations that day. Of course, perception isn't reality, and actual orders of fire kissed meats at Turkish restaurants haven't always come in stick form. 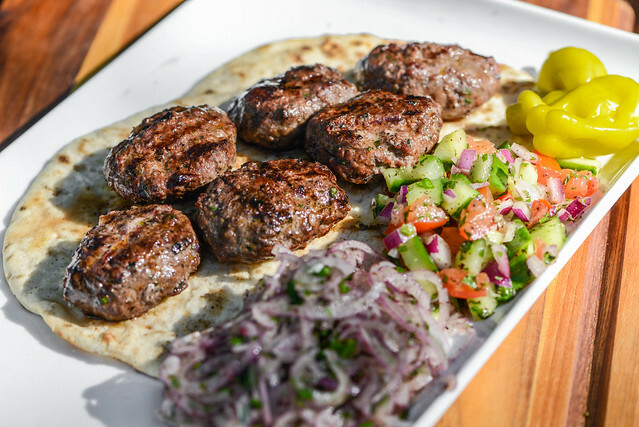 Just one case in point are these Turkish kofte—spiced beef formed into meatball-like patties, then grilled. For a man who loves wings, I'm grateful to have a base recipe that has given my consistently excellent results on the grill. Since finding that method—which involves coating the wings with baking powder and letting them air dry overnight to achieve crackling skin—my focus has been solely on variations in flavor, of which, the possibilities are endless. Even though each new recipe has had its own distinct end result, I feel a bit like a broken record, writing essentially about the same procedure post after post. That left me considering how I could possibly change things up a bit without sacrificing the quality my tried and true method affords. I found this in a Turkish take on wings—Kanat—that were worlds different in method and flavor, but just as incredibly awesome.